Valaida Wise, 61, saw a picture from her son’s wedding and didn’t recognize herself. Shocked and saddened from the picture, and worried that her doctor felt her health was in danger, Valaida had the push she needed to begin her weight loss journey. Prior to joining RCSC, Valaida had tried other gyms but never followed through. Life seemed to always get in the way. 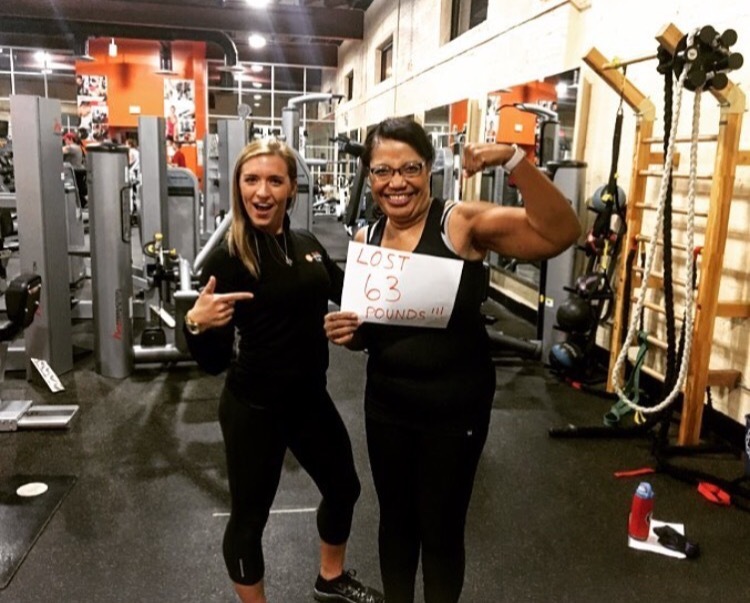 Her experience at Rock Creek started with a free introduction to the gym by personal trainer Kolon Diallo. “I loved it (although I was convinced I was dying after the first workout),” says Valaida. With her history of starting and stopping exercise routines, Valaida felt she needed an external push to keep motivated. She joined RCSC and started training with Kolon once a week. When Kolon took a leave of absence to attend graduate school, Valaida was introduced to Caity. The two now train three times a week and Valaida comes in at least two other times on her own. Valaida started dropping weight and feeling better. She and Caity mapped out how to reach her ultimate goal of 155lbs, which would require her to lose more than 70 lbs. They talked about the mindset she needed to have and ultimately how she wanted to feel. “I’ve found that every time I meet my goal I want to push it farther,” says Valaida. One goal was to deadlift 120lbs. 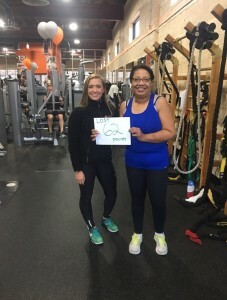 She exceeded that goal by 30lbs and immediately set a new goal for 200! Valaida also plans to compete in her first powerlifting meet. She says her favorite part of her transformation is the reaction from others. Some don’t recognize her! Her absolute favorite thing to do is show people the video of her 150lb deadlift! Caity says what helps Valaida reach her goals is her ability to turn a big task into small manageable steps. “She realized the importance of small day-to-day decisions and was able to get exactly where she wanted to be. And if you ask her, she’ll say, ‘I’m not done,’” says Caity. Valaida notes several rough patches along the way, such as going backwards on weight loss and injuring her shoulder. This is where Caity’s support really shows itself, including the pictures Caity would send to Valaida, with words of encouragement, to show her how far she’s come. “Having someone to help you refocus, to remind you of your long-range plan and to remind you of how far you’ve come is vital,” says Valaida. “I remember, when I was at my heaviest, going up one flight of stairs was torture. Now, I run up and down “flights” of stairs and I’m not winded. I have to say thank you to Caity and Kolon for helping me get this far and to RCSC for providing such a wonderful place to get healthy and have fun,” says Valaida. She states she loves everything about RCSC, from Hadji greeting members by name, to the friendliest front desk staff, to feeling like being part of a large family. But, the top of her list has to be the trainers, who she believes makes RCSC what it is.